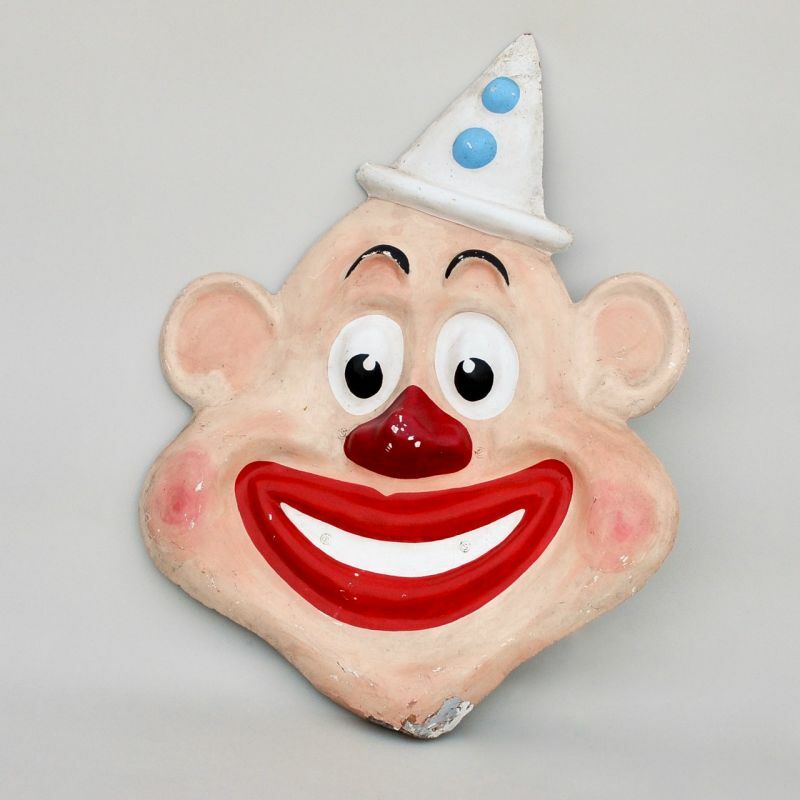 This is a hand painted clown face on fibreglass, made in the 1950s. He has a jolly face with rosy cheeks and a big wide smile, he sports a jaunty pointy hat. 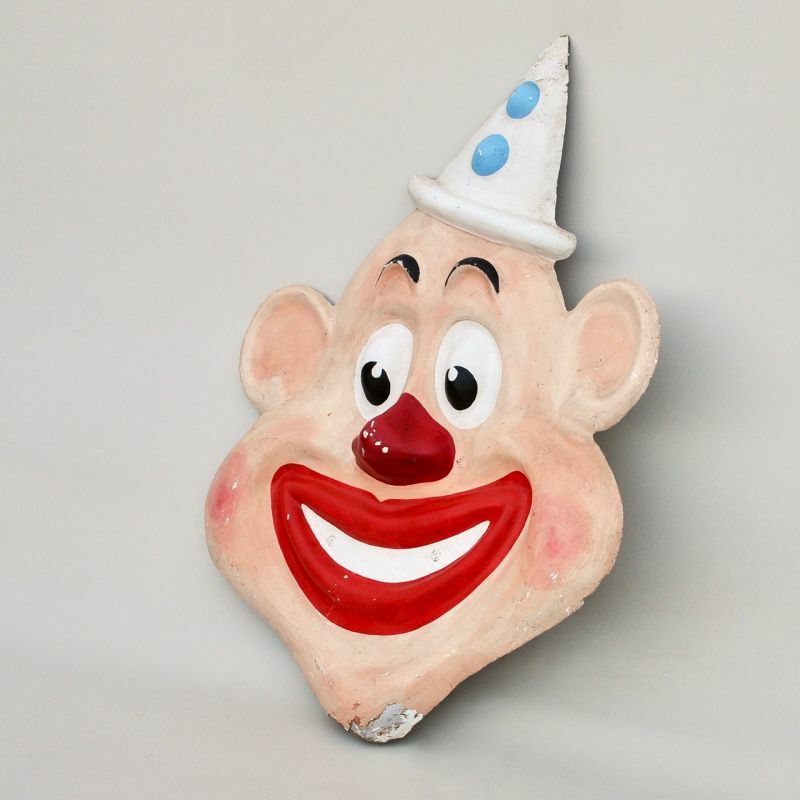 I am told by the previous owner that they bought it from Billy Smart himself, I can see it hooked over the grill of the circus lorry as it came into town. You can see from the photos that there has been some reinforcing of the point of the hat, and there’s some cracking and paint loss to the chin. Delivery can be arranged to any part of the country. As a guide, delivery to London and most parts of the south of England would be £65. Collection is, of course, welcome. 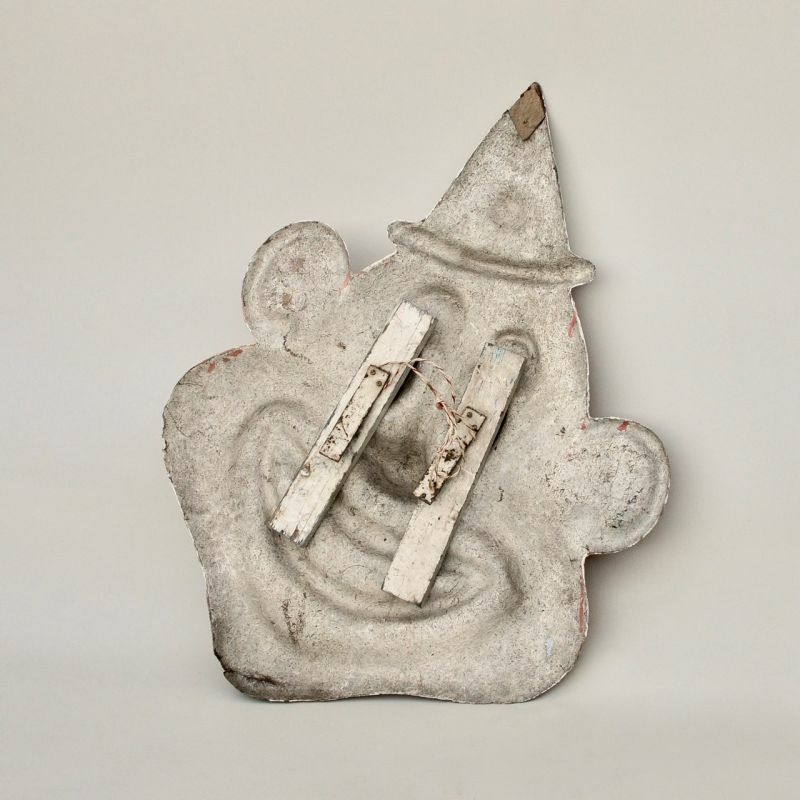 The measurements are 78 cm wide, 15 cm deep and 105 cm high.